Your Very Best Health Starts Here! The fact that you are on this website shows that you understand the power of foods to promote health and protect against disease. Of course, you’re also aware of the other side of that coin – that the rates of diet-related disease and obesity are skyrocketing! You probably know someone who has had a heart attack or stroke. Maybe you’ve witnessed Alzheimer’s steal the mind and memories of a family member. Or watched helplessly as cancer claimed the life of someone you love. Perhaps even your own health is suffering… or you need to lose weight. The good news is that you can easily prevent chronic disease (or reverse any symptoms you may already have). You can lose weight effortlessly. You can feel GREAT and have abundant energy! And you can do all of this by harnessing the power of what is on your plate! The food you eat today will obviously shape the body you have tomorrow. But it will also determine whether your body is in a state of renewal and regeneration… or degeneration. Healing Gourmet is here to help you make choices that protect your health. Our mission is to provide you with the information, recipes, tools, motivation and support you need to be lean, strong and healthy for life! Below, you will find a road map to explore this website and everything we have to offer. My name is Kelley Herring and I’m the founder and CEO of Healing Gourmet. If you’d like to learn more about how Healing Gourmet came to be (and my personal struggle to regain my health), I encourage you to read our About Page. As you begin to click around, you’ll discover this website has a HUGE amount of content. So don’t try to go through everything at once. Take your time. And be sure to save a bookmark, so you can revisit us when you need recipes or information on a specific health topic. 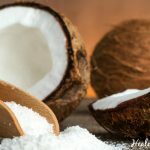 Join the Healing Gourmet Newsletter – Let’s Stay in Touch! We save our most valuable content for our loyal subscribers. That means the best way to get the most from what Healing Gourmet has to offer is by subscribing to our free newsletter. You’ll receive practical health advice… original recipes… coupon codes for healthy products… free reports… personalized meal plans… and updates about the newest features on the site. Join 40,345 Subscribers - Sign Up Today! It has taken a LOT of work to create the tools, recipes, meal plans and information on this website and in our books. So, we haven’t had much time to play on social media. But we do understand its value for discovering new ideas and communicating with others of like mind. And we have big plans for sharing the best of Healing Gourmet through the social networks, so we hope you’ll join us on your favorite platforms. Here are the links to our pages on Facebook, Pinterest, Google+ and Twitter. You’ll also see social buttons at the top and bottom of every post on the site, so please share your favorite content. That’s how the Healing Gourmet community grows! The heart and soul of Healing Gourmet is about preventing and reversing disease. We do this by helping you make choices that dramatically reduce your exposure to dietary and environmental toxins, while supporting your body with the vitamins, minerals, phytonutrients, healthy fats and protein it needs. 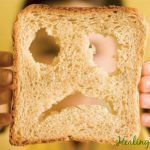 But if you really want to understand what it takes to achieve optimal health (and discover what this website is all about), then please read about how nutrition influences disease – and the “Big Five” underlying causes of all chronic illness. When you eliminate these causes, disease doesn’t stand a chance! Something specific you’re looking for? Then use the search bar in the top right corner. Want to know what advanced glycation end-products (AGEs) are and how they harm your health… or the amazing benefits of anthocyanins and which foods contain the most… or maybe you’re planning a party this weekend and you would just like to browse some healthy appetizer recipes. With thousands of posts on this site, we’ve got you covered when it comes to nutrition, food and healthy cooking… so don’t forget to search Healing Gourmet! Healing Gourmet is best known for our collection of more than a thousand original healthy recipes – tagged and organized in 75 different categories for your convenience. Every recipe has been designed to help you balance blood sugar, reduce inflammation and boost antioxidants and other health-promoting nutrients in your diet. You will never find gluten grains on this site. You will never see a recipe that calls for inflammatory omega-6 oils. You will find no artificial ingredients, chemical sweeteners or GMOs. The sections above also include an overview of the foods and nutrients to consider (and what to avoid) if you’re concerned about that particular condition. We also feature hundreds of simple and delicious gluten free recipes, dairy free recipes and Paleo recipes… as well as healthy meals and full daily menus (breakfast, lunch, dinner, snack). Of course, you’re not going to make everything from scratch. And there will be some days when you don’t feel like cooking at all. That’s why we have curated a list of healthy packaged foods, including full reviews of some of our favorites (known as Healing Gourmet’s Best Brands), with complete nutrition and allergen information. If you’re a lover of sweets (and you value your health), you will be happy to know that we have several sections dedicated to creating deliciously sweet, low-glycemic and healthy desserts that won’t sour your health! In fact, most desserts on this website contain just 5 grams of sugar or less per serving. That’s equal to one quarter of an apple! And be sure to check out our Paleo and gluten-free baking section to learn how to use grain-free flours, healthy fats and safe sweeteners to create decadent gluten-free cookies, cakes, breads and even candies. Can Coffee Ward Off Diabetes, Heart Disease, and Stroke? Keep in mind… while Healing Gourmet has been online for more than a decade, when we launched the newest version of this site in 2014 the counters on our social share buttons all reset to zero… so if you see something you like, please “Like” or “Share” or “Pin” our posts. We truly appreciate the support! You might be surprised to learn that since our inception in 2000, Healing Gourmet hasn’t spent a single dollar in advertising. We don’t say that to brag… we probably could have reached a lot more people with our message of health if we had. We only point it out to illustrate that our growth has come almost exclusively from word of mouth – people who appreciate what we stand for and the value we offer and want to share it with those they care about. We hope you will do the same! If you believe in our mission of health and you have family members, co-workers or friends who could benefit from the information and tools on this website and our free newsletter, we hope you will take a moment to send them a quick email with a link to the site. Finally, we just want you to know how much we appreciate YOU! We hope that you enjoy your stay and please come back often. There’s always something new and delicious cooking here at Healing Gourmet!